Mannheim is known for its world-shaking inventions, especially in the mobility sector: the automobile, the bicycle and the tractor all originated here. The innovative spirit is still active today. By constantly creating new ideas, from new forms of green logistics and e-mobility to advanced solutions in the medical technology and vibrating creative business clusters, Mannheim is concentrating on its unique qualities: joie de vivre, economic strength and inspiration. Mannheim’s city centre is made up of blocks, just like Manhattan. Instead of street names, the signs provide a combination of letters and numbers. Inside the so-called ‘Grid-City’, numerous international companies work on inventions that will change the future. According to the economic magazine Forbes, Mannheim is one of the most inventive cities in the world, with approximately 4.95 patents per 10,000 inhabitants. These successful projects can be traced back to the city’s active cluster policy. Partners from financial companies, research institutions and the Economic Aid Department of the city of Mannheim combine their knowledge and experience in order to advance two particular strategic fields: medical technology and creative business. “Mannheim is a place of tolerance, curiosity and innovation,” says Mayor Dr Peter Kurz. In 2009, the ExperConsult study by strategy consultants Roland Berger identified the potential of medical technology for Mannheim and predicted the creation of 2,000 new jobs in the course of the next 10 years. Today, over 7,500 people work in Mannheim’s medical technology industry. Global players such as Roche Diagnostics, DENTSPLY Friadent, VRmagic and Siemens Healthcare have their headquarters in Mannheim. The city’s excellent infrastructure is a crucial factor for the companies’ investments. Mannheim’s tram-system connects to the wider Rhein-Neckar regional network, with 636 additional cities and three federal states. The main train station is one of the most important German ICE intersection points: Frankfurt Airport approximately 30 minutes away. The city’s inner harbour, – the second largest in Germany – connects the city by water. In order to attract talent, Mannheim promotes itself as a vibrant and diverse city in over 170 foreign nations. A close connection between economy and research has been established in several areas of expertise, and is constantly reinforced by inner-city projects. The technical grammar school Carl-Benz has just introduced a course on medical technology, consisting of classes at the school and Mannheim’s universities. Among the city’s notable institutions is the University of Mannheim, which is home to one of Europe’s leading schools of economics. Groundbreaking research and its practical application at the companies go hand-in-hand thanks to academic accomplishments and institutions such as the renowned Centre for European Economic Research. A current example of practice-orientated research is the Mannheim Molecular Intervention Environment project, which aims to improve medical treatment – mainly of cancer patients – by intervening in the structure of somatic cells. Smart City Mannheim is one of several research projects set up under the government-funded ‘E-Energy’ programme. The key objectives of the projects are to demonstrate how renewable energy can be optimally integrated into the grid, as well as how the city can function as an energy store. In addition to PPC (a leading provider of communication systems), other partners in the project include MVV Energie and IBM. Using PPC’s Broadband Powerline, the power grid is turned into a real-time communications platform that connects all households, decentralised generators and measuring devices. 3,000 households will be equipped with devices that intelligently control appliances and connect them to the grid. The encrypted data will be sent to the customer’s password-protected web portal as well as to utility company MVV Energie. Mannheim is also smart in its recycling system: there is a collection system for all rubbish and scrap. Most of this waste is collected near houses: the rest can be taken to recycling stations. This rubbish is recycled into combined heat and power in a power station. The slag of the station is recycled too. 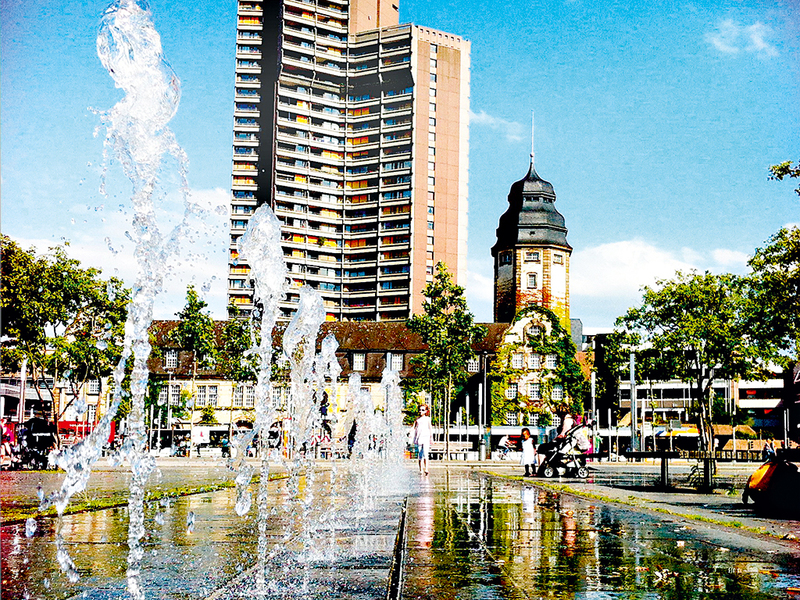 The municipal enterprise Wastewater Management in the City of Mannheim has held Quality and Environmental Management Certifications (EN ISO 9001, EN ISO 14001) since 2003. As a strategic goal, they want to produce 100 percent of their energy needs by themselves: currently the production rates are 100 percent for heat and 60 percent for electricity. Creative business is also firmly established, with the famous Mannheimer Schule and the National Theatre, the oldest municipal theatre in Germany, Mannheim can look back on a vivid cultural tradition. The Popakademie, Germany’s first university for pop music and music business, is internationally renowned. Music festivals such as Maifeld Derby and Time Warp underpin Mannheim’s position as a city of music. There is also the atelier of the world-famous fashion designer Dorothee Schumacher. Her creations are presented at the respective international fashion weeks. With the aim of contributing to an environment where many more creative businesses can arise, the Mg: Mannheimer Gründungszentren supports business founders. The centre advises during the foundation process, provides office space and helps novices master challenges they face. Mannheim is known for its excellent shopping opportunities. Luxury enthusiasts will be just as contented as true bargain hunters. The city is currently investing in a major shopping street – ‘Planken’ – and the construction of a new shopping mall. With restaurants, hotels, apartments and offices right at the centre, it will contribute to the Grid-City’s reputation as a modern city worth living in. Over the next few years, a number of construction projects covering investments of over €700m will change Mannheim substantially. The new Glückstein-Quartier district, located next to the central main station, will provide office space and accommodation. Due to the closing of US military bases, approximately 510 hectares will become available for creative business, engineering and ecology purposes. Four areas will be a part of the German Federal Garden Show in 2023, forming a green belt around the city. A media park, greenery, energy-efficient living, and a ‘Mile of Engineering’ with an e-mobility test track are also being discussed. Packed with all of these and many more creative and innovative ideas, Mannheim has excellent prospects and the opportunity to reinforce its reputation as a city of inventions.